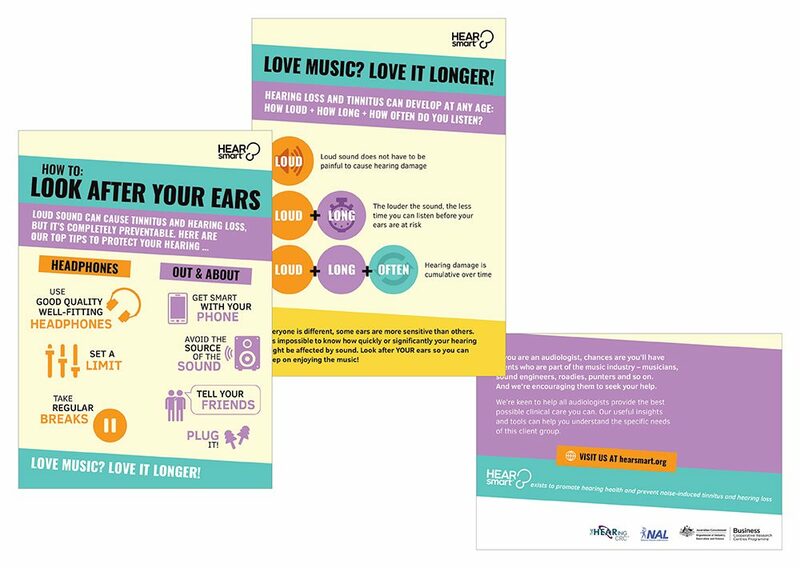 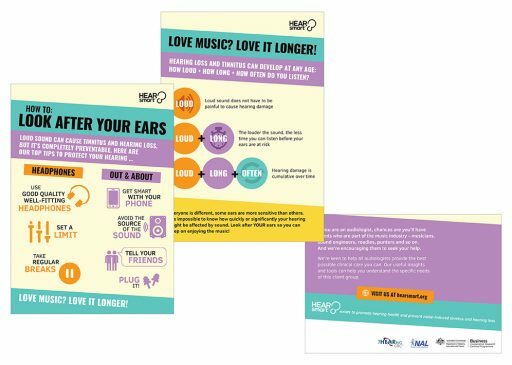 2 page A5 HEARsmart postcards. 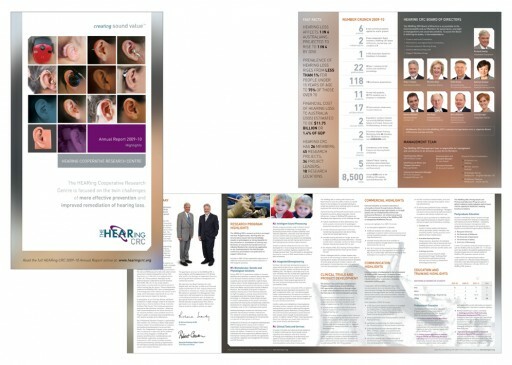 The HEARing CRC 4 page marketing brochures for the HEARing CRC, HEARnet and HEARnet Learning, HEARsmart and HEARworks and a floor banner. 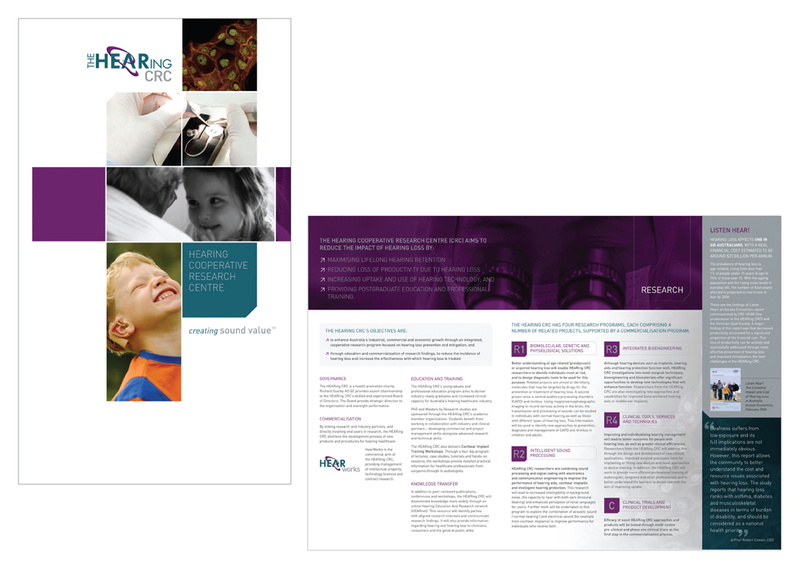 IERASG 2019 visual identity and website banner for The HEARing CRC. 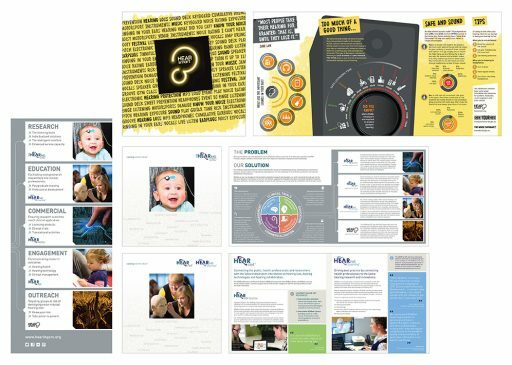 The HEARing CRC 4 page presentation folder and an 8 page gate fold ‘Creating Sound Value’ brochure and timeline. 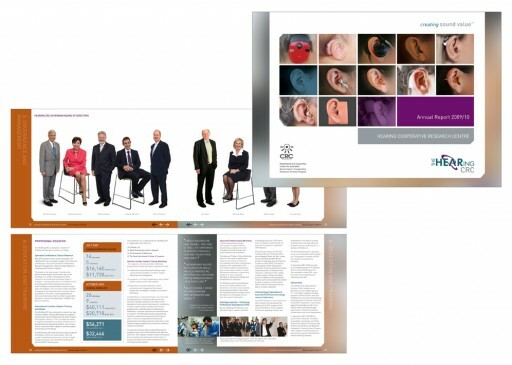 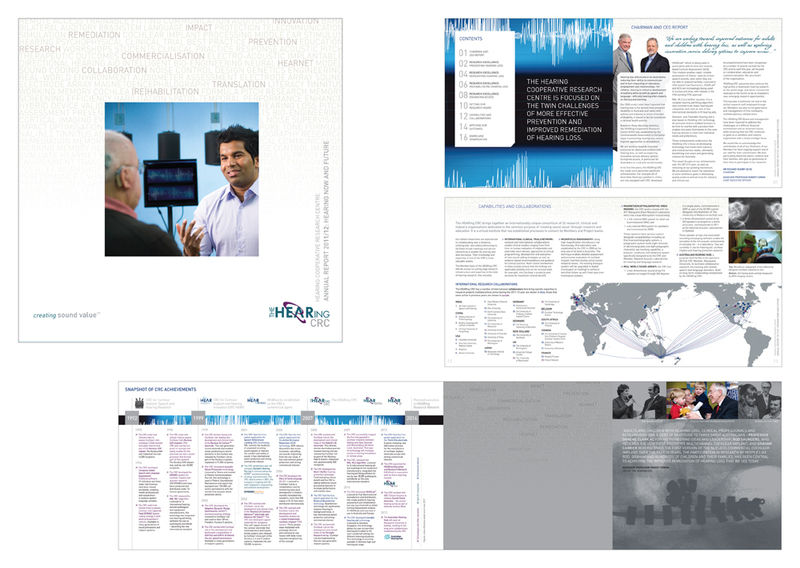 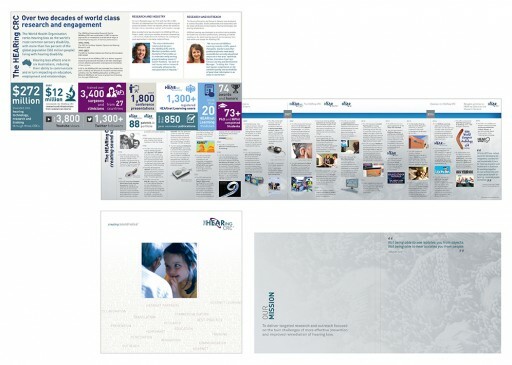 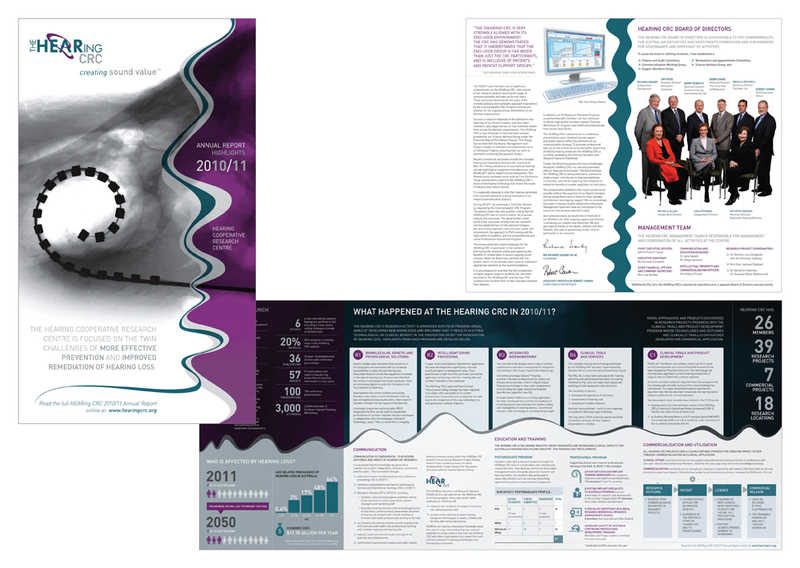 The HEARing CRC 8 panel roll fold cover and a 16 page Annual Report 2011-2012 that is also used as a corporate brochure. The HEARing CRC 8 panel gate fold Annual Report 2010-2011 Highlights summary. 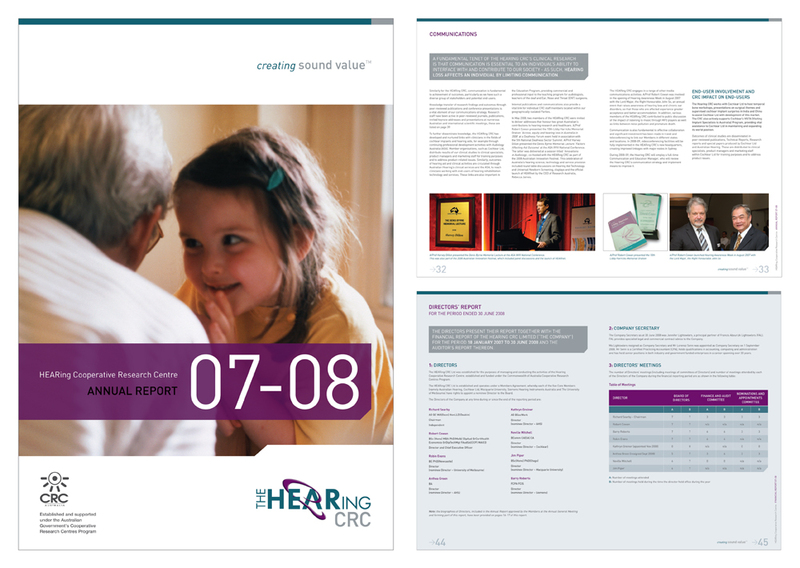 The HEARing CRC 8 panel roll fold Annual Report 2009-2010 Highlights summary. 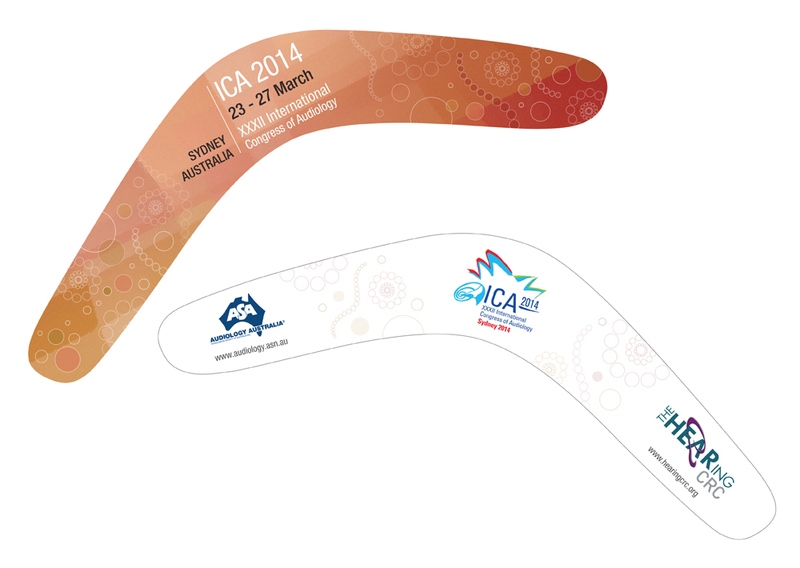 The HEARing CRC double sided boomerang was designed as a promotional piece to be handed out at the ICA 2014 conference held in Sydney in March 2010. 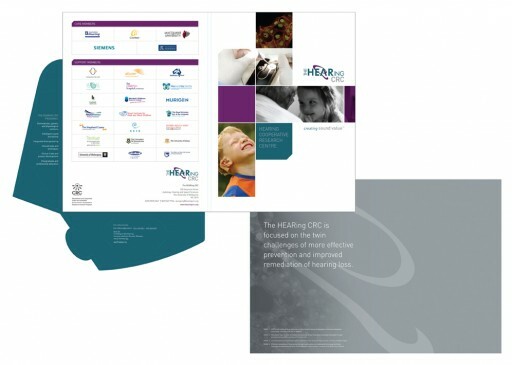 The HEARing CRC corporate presentation folder with artwork on both sides of it. The HEARing CRC corporate marketing flyer included a narrow flap which wrapped over to the front cover. The HEARing CRC 68 page A4 Annual Report 2007-2008. 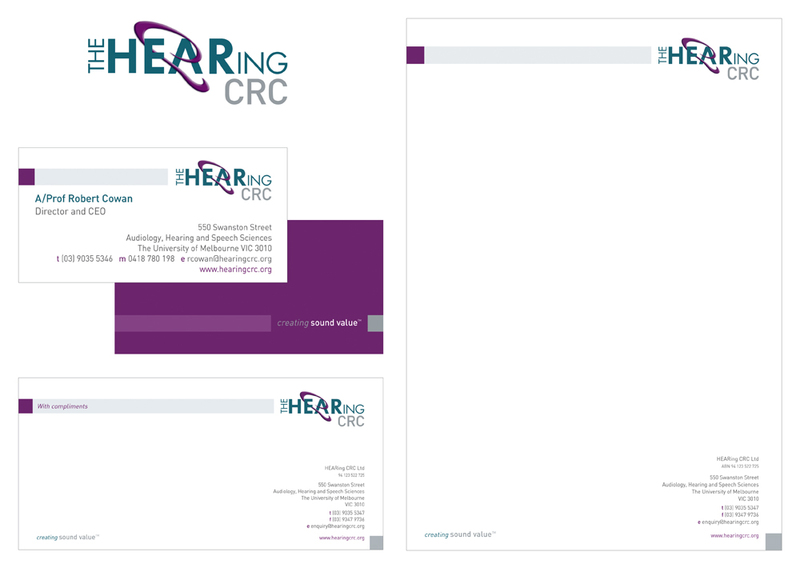 The HEARing CRC branding items included logo development, business cards, letterhead and follow on, with compliments slip and DL, DLE, C5 and C4 envelopes.